>Knitting really does make you happy! Knitting really does make you happy! A great article written by one of our amazing massage therapists Rita on how knitting can immediately create happiness! Who would've thought? Feel happy IMMEDIATELY by just knitting; scientists say working with your hands positively affects the neurochemistry of your brain. Psychologists use the term self-efficacy to refer to an individual that can be “successful at behaviours that change one’s environment in a rewarding way.” In other words, if you have a sense of self-efficacy, you’re confident that you have what it takes to be a happy person. Applying these animal-driven results to humans, points to extensive substantial evidence of similar phenomena. For example, there has been renewed interest in knitting and sewing, both in old and young people alike. 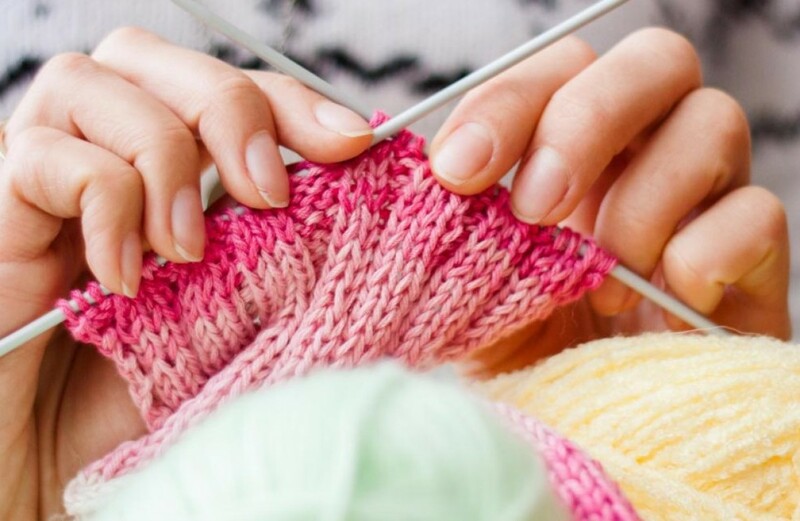 Findings for a separate study conducted by Knit for Peace UK, a charity that believes knitting is a hobby that offers many benefits, determined that knitting can help delay the onset of dementia and allow individuals to manage their anxiety and depression. Additionally, the results of the study, which observed over 15,000 knitters in the UK, showed that knitting can help chronic pain sufferers focus on something besides their debilitating condition. The results of another study, which was published in The Journal of Positive Psychology in 2016, showed that taking the time to work on creative goals daily had a positive effect on psychological functioning. In fact, people who actively pursued creative endeavours, even if the positive psychological impact only lasted for an hour or two, reaped benefits that extended until the next day. Gardening - aside from being able to grow your own flowers, fruits, and vegetables, gardening can help reduce your cortisol levels, a.k.a. the stress hormone. Helping plants grow from seed to full-grown plant can help you feel like you can “cause positive change in the world,” and it even counts as exercise! Keep a journal - keeping a journal can help you organise your thoughts, plan your goals, and solve your problems. Journalling can also help relieve your stress. Writing in a journal can also help you know yourself better. Learn how to cook - according to studies, people who often cook their meals at home are healthier and live longer than those who frequently eat out. Buying ingredients at the grocery store means you pick your own food and that you’ll buy less processed foods, sugary foods, and fat. By cooking regularly, you’ll even learn to make healthier food choices. Learn how to play an instrument - consider taking piano lessons, which can increase cognitive development. Playing the piano can also improve your eye-hand coordination and fine-motor skills. If a piano doesn't do it for you, it's never too late to learn to play guitar! Happy knitting, gardening, journalling, strumming, tinkling the piano keys, or whatever takes your fancy!